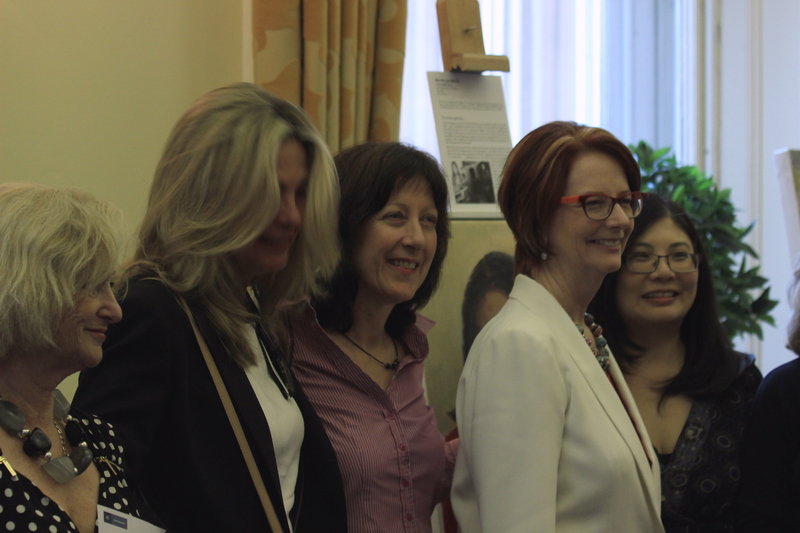 You can now see edited highlights of the inaugural Mackworth lecture, delivered by former Australian PM Julia Gillard on You Tube, along with Portrayed! which formed a backdrop to the event. 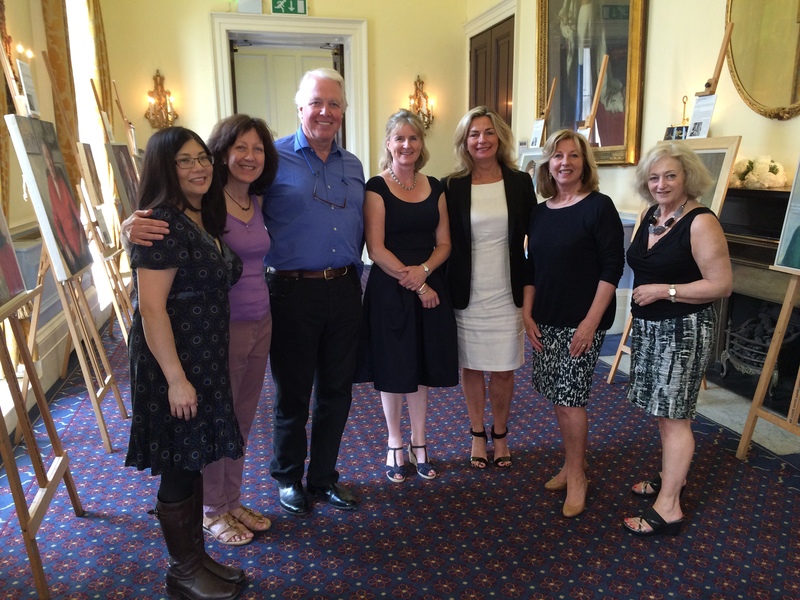 IoD Mackworth Lecture and Portrayed! Photos courtesy of Chocolate Films. 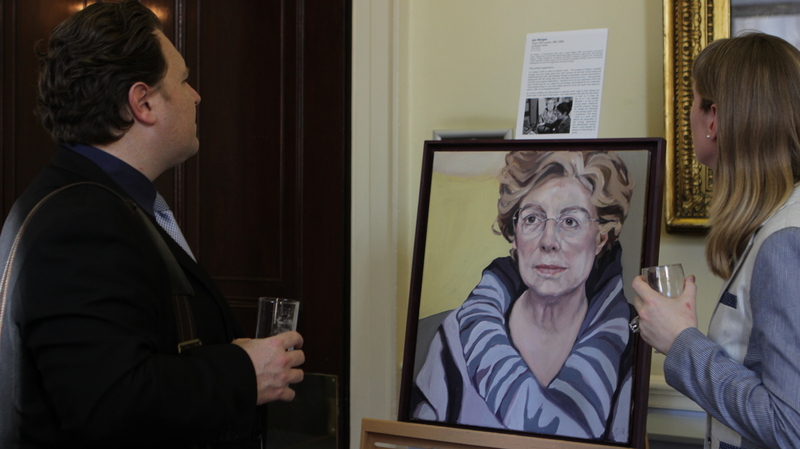 Former Australian Prime Minister Julia Gillard tonight delivered the inaugural Mackworth Lecture at the Institute of Directors and visited the accompanying exhibition of inspiring women by the Lots Road Group of portrait artists. 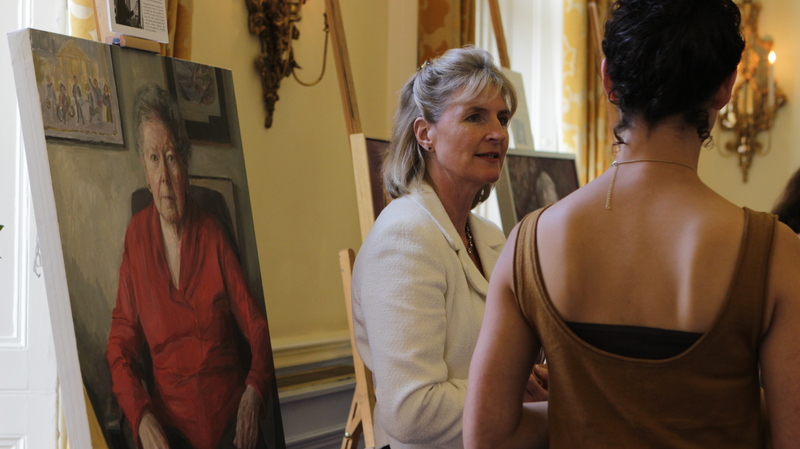 After delivering the lecture, named in honour of the first woman to occupy the honorary role of IoD President, Lady Margaret Mackworth, in which she spoke about women leadership, she joined the 200 guests in visiting the show which marks the 25th anniversary of International Women’s Forum UK, an organisation of eminent female leaders. 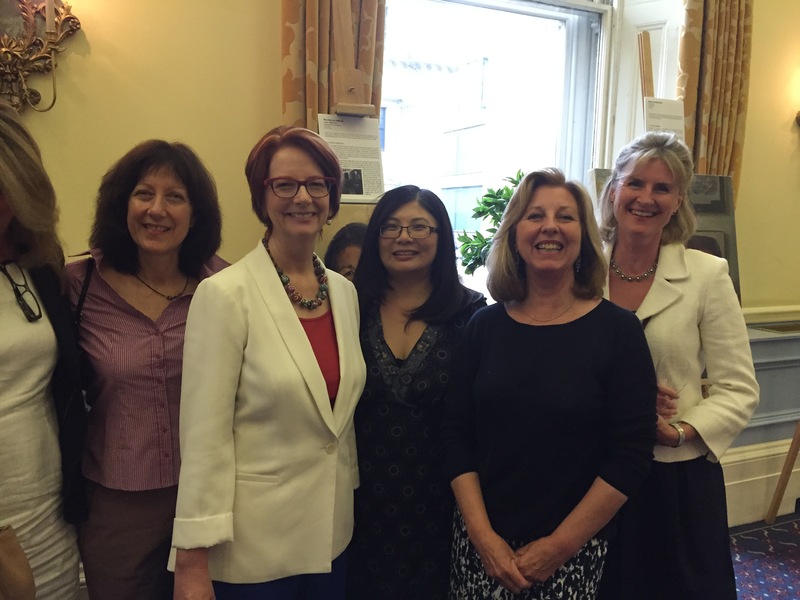 Ms Gillard’s visit is part of the Australia& New Zealand Festival of Literature and Arts. 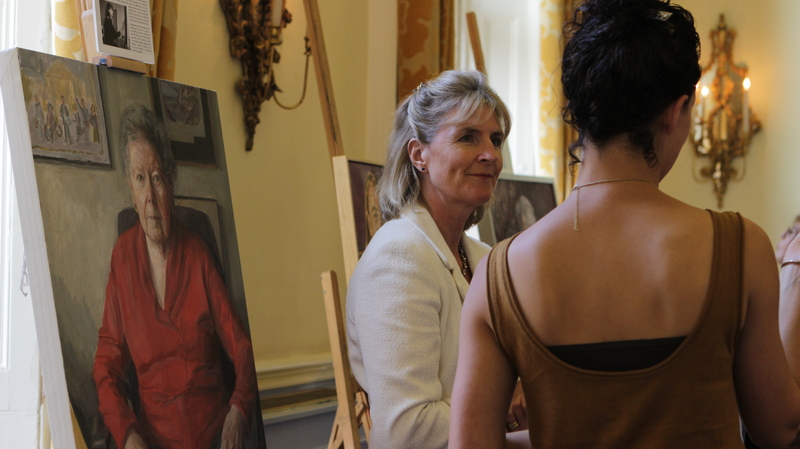 Tonight a pop up exhibition of Portrayed! 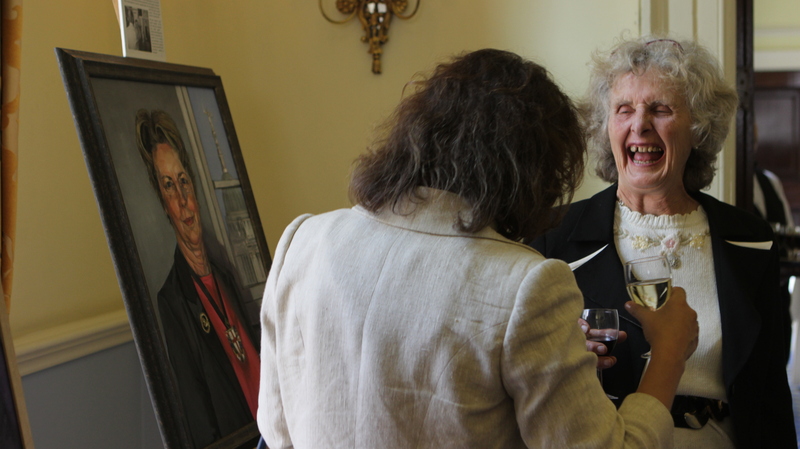 25 years of inspiring women (from the International Women’s Forum UK) will accompany the launch of an annual lecture, named in honour of the first woman to occupy the honorary role of Institute of Directors President, Lady Margaret Mackworth, who was elected to the post in 1926. 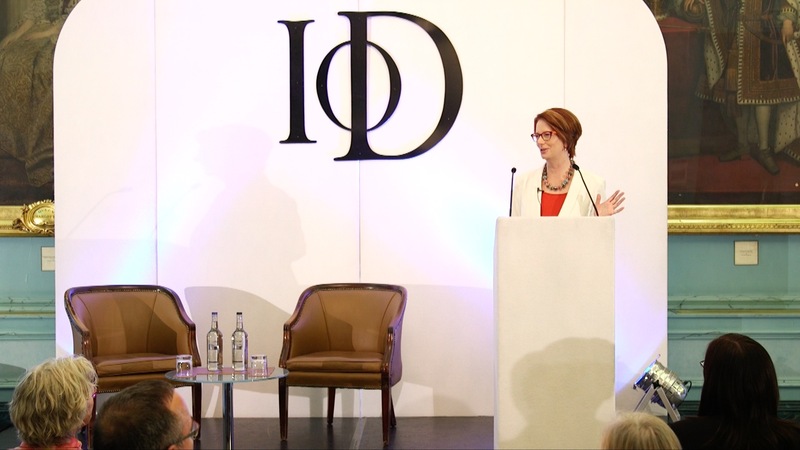 Former Australian Prime Minister Julia Gillard – who is in London promoting her book My story – is to deliver the inaugural Mackworth Lecture at the IoD in Pall Mall. 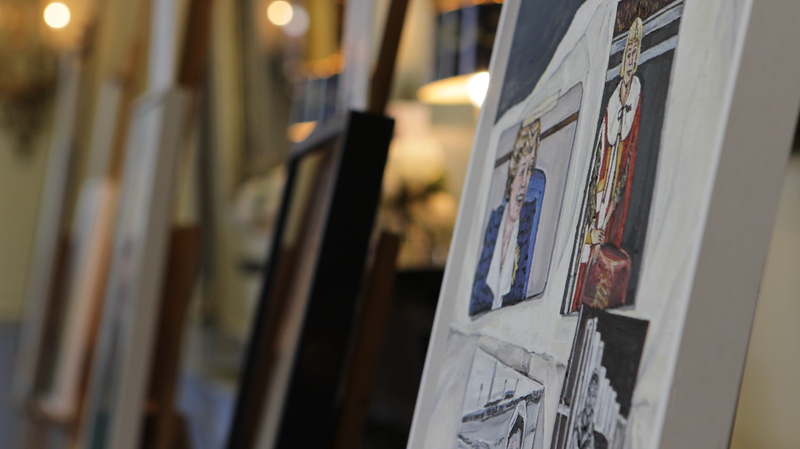 I have lived virtually all my life in the Lewes area and have always been interested in drawing and painting. My exhibition is called ‘Catch of the Day’. 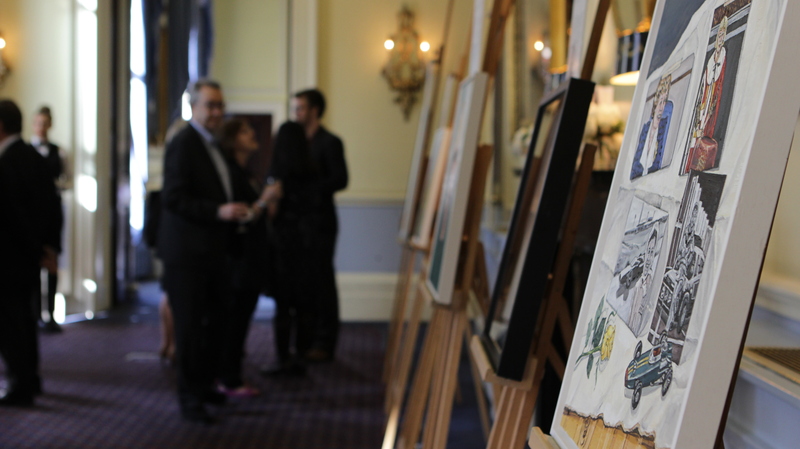 I will be showing a series of paintings of Fishermen, Fishmongers and Chef’s at work. Until recently, our son was a chef for several years at Pelham House and I was allowed to visit the kitchens to make studies of the chefs at work. A few months later I was on holiday in Split in Croatia. There was a wonderful fish market there and again, I made many sketches and took photographs of this exciting and busy environment. I am now working on a series of paintings of Fishermen. Many other members of The Lots Road Group also exhibit frequently throughout London and the UK. 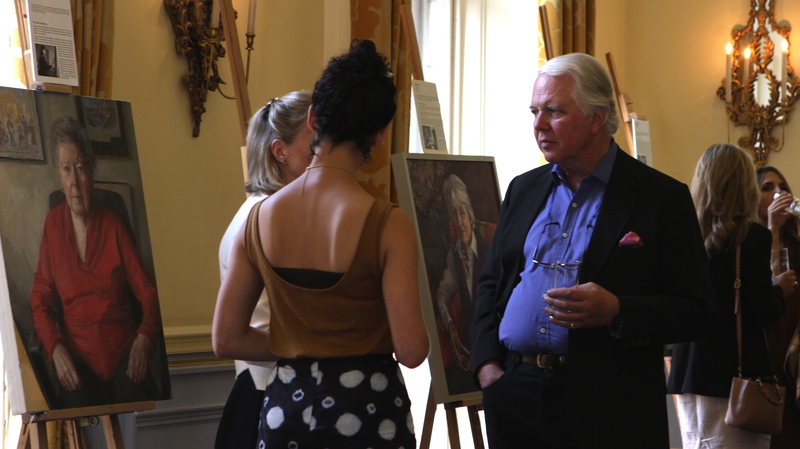 One of whom is Sarah Jane Moon who will be exhibiting in both the New English Art Club Annual Exhibition at the Mall Galleries (18th – 27th June) and the Ruth Borchard Self Portrait Exhibition at Piano Nobile Kings Place (10th July through until the beginning of October). 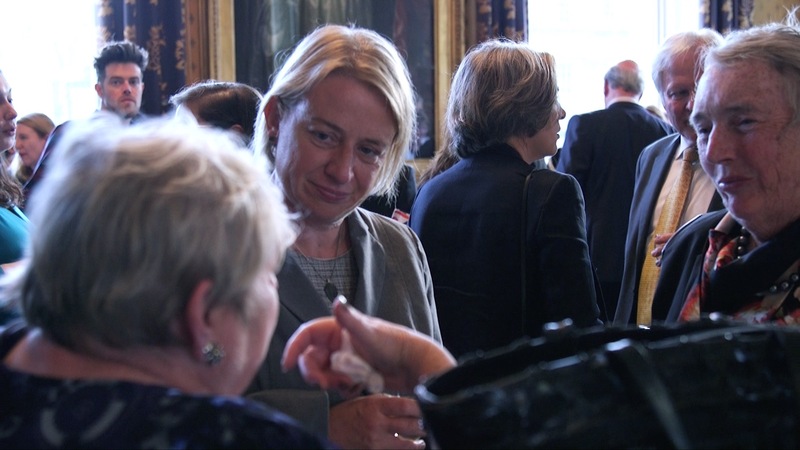 Please keep an eye on the blog for further updates about our members. 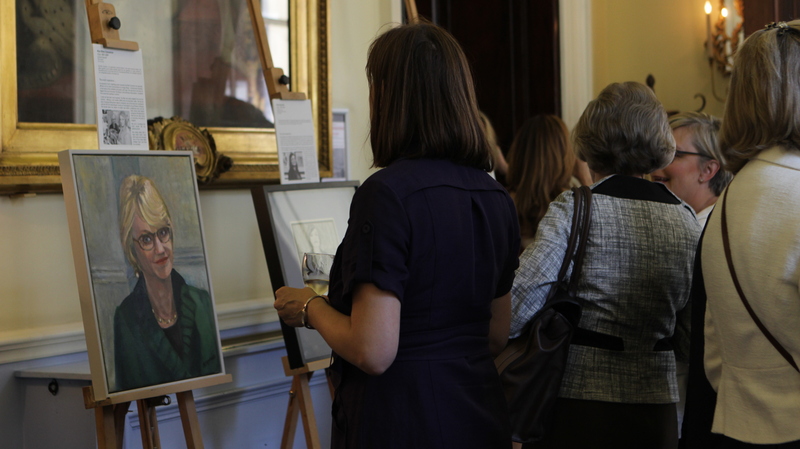 Many thanks for all your support and encouragement throughout the ‘Portrayed’ exhibition – it was a great success ! 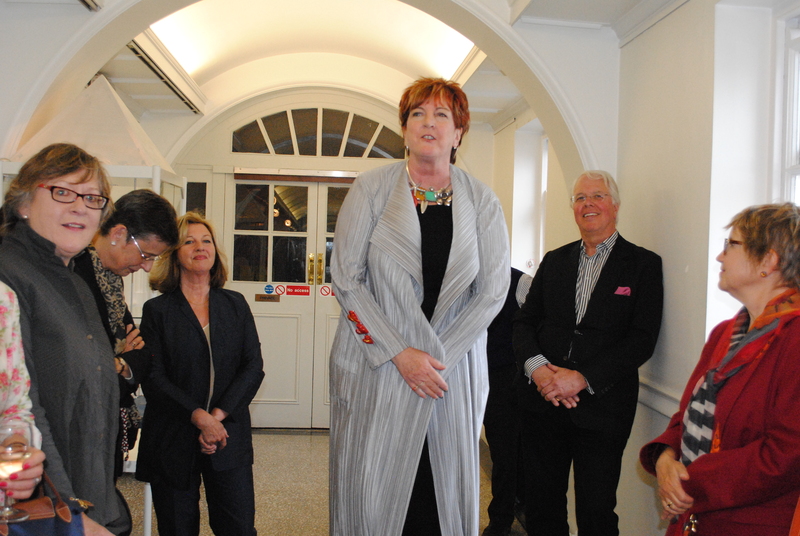 Below are photos from the private view. 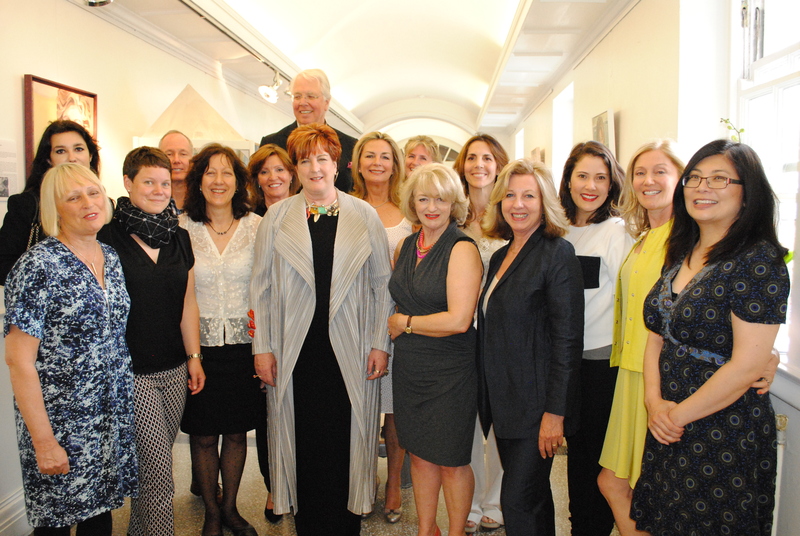 The first of the Lots Road Group with Susan Young of the International Women’s Forum and the next of Susan opening the exhibition. If you missed the show, rumour has it we will be moving it on to another venue this August so stay tuned.